We recently blogged about two initiatives we put together to help those in our community -- our American Red Cross blood drive and the Youth Action Toy Drive. Now that both have wrapped up, we're proud to announce that both events were successful, thanks to those in the Peirce community. Volunteers who donated to our American Red Cross blood drive, held on Nov. 26, donated 14 collective units of blood. This can be used to save up to 45 lives. 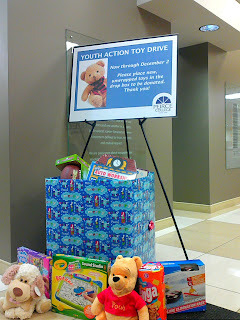 And our Youth Action Toy Drive collected 93 toys this year. 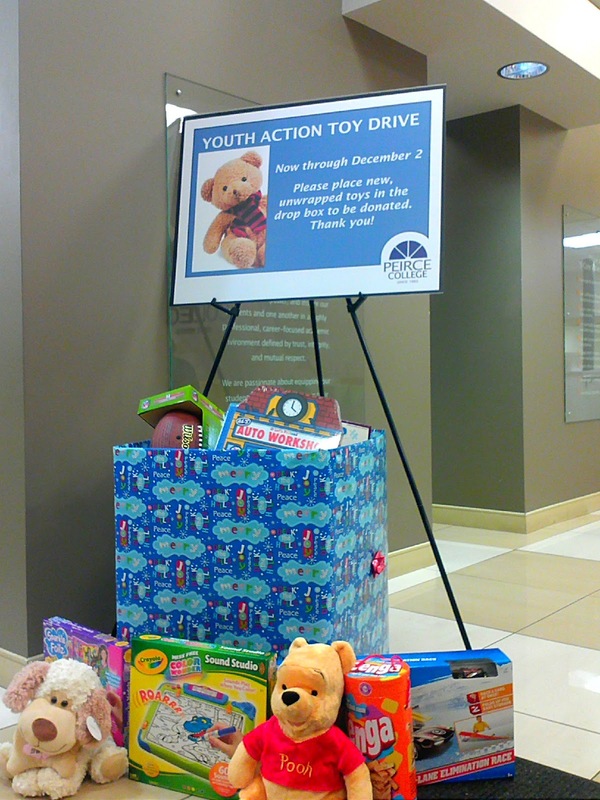 These toys will go to benefit children in five local area shelters, and hopefully brighten up their holiday season. Again, thank you to everyone who participated in these events. We'll be updating you on other initiatives the College is doing to help others this holiday season, so keep checking back. From all of us at Peirce, happy holidays!